Our Spring KAL with Angela Tong has drawn to a close, and it's time to announce our prize winners! But before we do that, we'd like to share all of the amazing projects which our fans completed in our Ravelry group as part of this KAL. First, we saw 12 completed Hishigata hats in a parade of beautiful colors! Angela also shared an informative tutorial showing how she swatches for in-the-round projects using a clever time-saving trick - click here to check it out! Also, if you missed our previous blog post about Charitable organizations accepting handmade donations, click here to learn more. 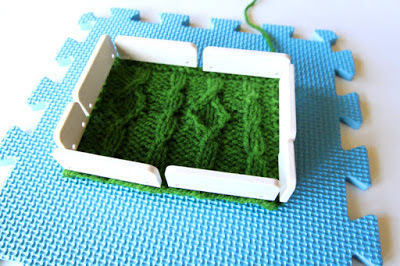 Don't forget to block your swatch with our Knit Blockers! Photo by Angela Tong; click here for the full tutorial on Angela's blog. 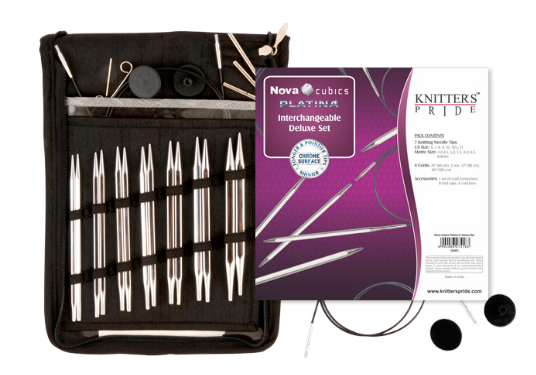 We also have one more prize to give out this month for our May blog giveaway; congratulations to quiltdabbler, who has won a Nova Platina Cubics Deluxe Interchangeable Set! We will get in touch with you shortly to arrange for the delivery of your prize. 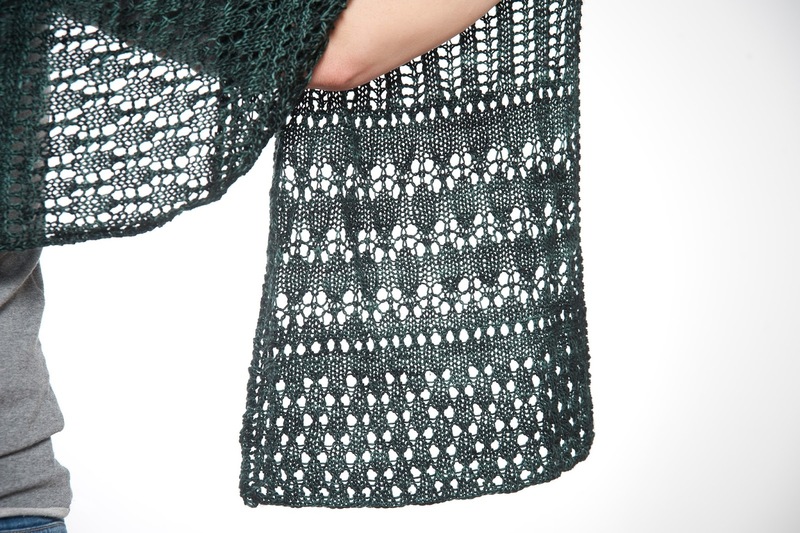 Thanks to everyone who entered this month's blog giveaway and joined in our KAL! On today's post, our designer spotlight goes international! We recently interviewed a German designer named Tanja Steinbach. Tanja is a key designer on the Schachenmayr design team, and she also self publishes her own designs in German. 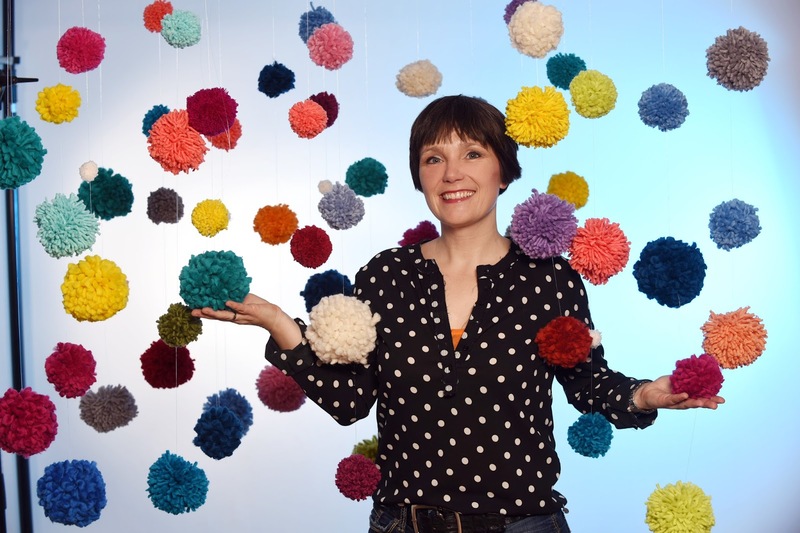 Tanja learned to crochet, knit and sew as a child and - skills which all contribute to her interesting approach to designing. We hope you will find inspiration in her designs and learning more about her process in today's interview. 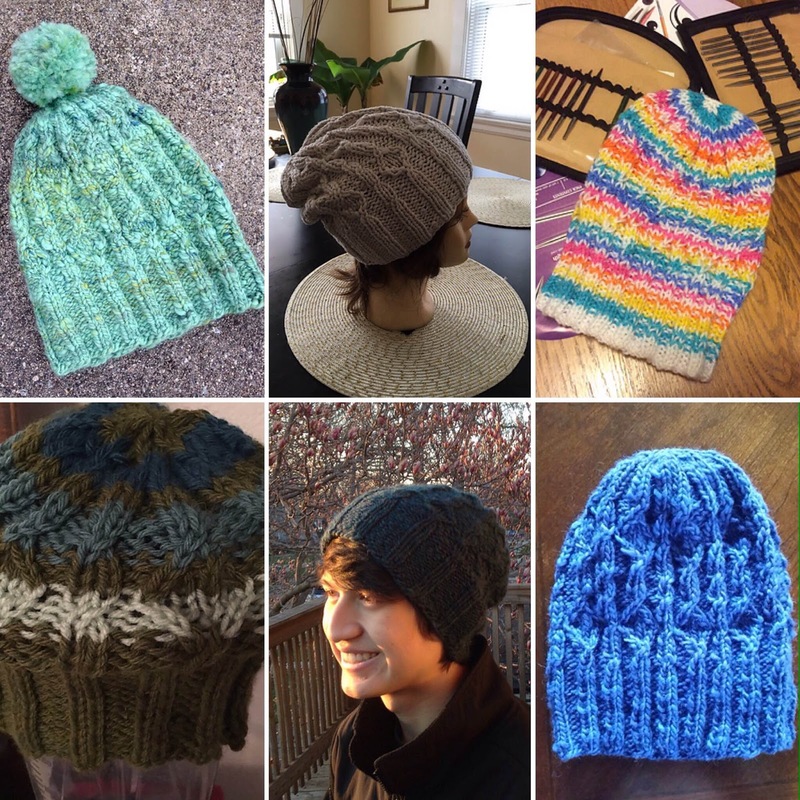 How long have you been knitting, and how did you get started designing? I grew up in a family that was very DIY oriented; I started crocheting doll clothes before Elementary School using patterns from the magazine Nicole (I was 12/13 years old). From there, I learned to knit and to sew. I perfected sewing by learning to become a dressmaker, after which I studied at the Textildesign in Reutlingen. The program at Reutlingen also focuses on knitting techniques because the company Stoll is nearby. The campus has a lot of knitting machines and techniques centered around yarn, which is how I came back to yarn and knitting. After my graduation, I thought about working in the clothing industry, but in the end, I took a different path by entering the world of knitwear design. And if I took a look back, it was the right decision to start working for Coats with the labels Schachenmayr, Regia and Jaeger. I love my work because every day is so different. That's hard sometimes, but it it helps to be open to new ideas. 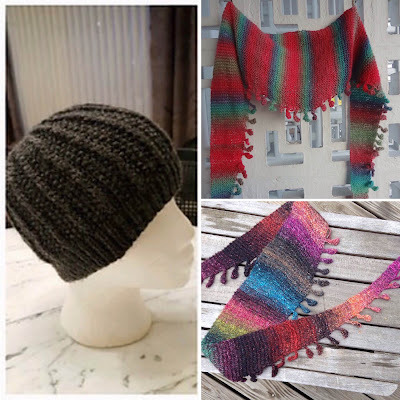 Of course, I also am always on the lookout for new trends in fashion and color, which is also a good way finding new ideas outside of the world of yarn. Tradition & experience is an important base, specially in hand knitting, so vintage craft books are great inspiration tools. Also traveling to other towns, meeting with people or taking in an art exhibition brings new impulses. Keeping eyes and ears open and being open to trying new things is key! How did your Design Label come about? I wouldn't exactly say that I have my own label, but I've worked for the last 20 years for the brands Schachenmayr and Regia at Coats (since 2015). 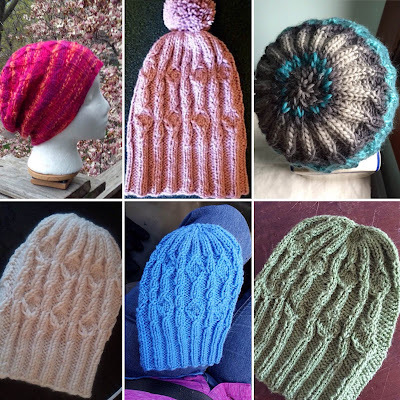 The assignments have changed a little from time to time, but I play a role in the marketing and product development, as well as working in the yarn and design development. When my children were small, I worked part-time, but when they grew older, I began to take on design jobs as a freelancer. I started with TV spots and little book projects in early 2000. The Frechverlag was looking for patterns and designers to star their new handcraft book series, and that was how I made my first sock knitting book. 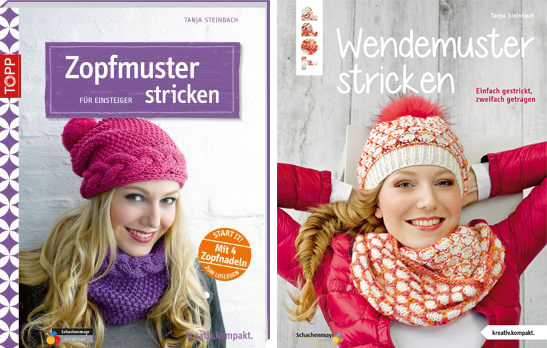 In the last few years, I have designed more patterns for books such as Jacquardstricken, Gestrickte Taschen, and Wendemuster stricken. Currently, I am working as co-author for a book called Tücher stricken, will be arriving in stores in Autumn 2016. In June of last year, I started a blog where I can directly interact with other fiber enthusiasts, much like on Facebook and Instagram, which I love. My blog was an idea of a collegue and I'm very thankful that she encouraged me to start it! 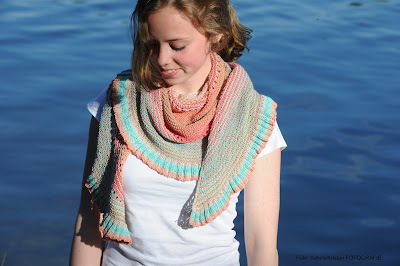 It began with a new knit-a-long for a German TV show called ARD Buffet“ in summer 2015; the pattern, Der Sommernachtstraum, is also availabe here on Ravelry as a free download in both English and German. 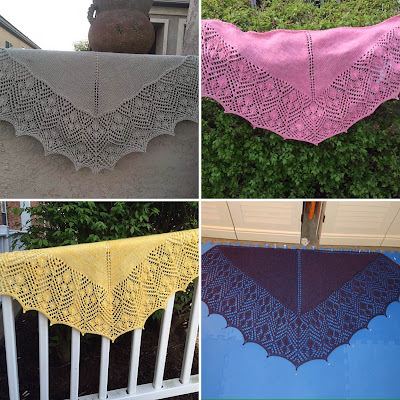 It's been wonderful to see all of the resulting shawl projects from this KAL! The year before, I had started something similar for ARD Buffet, the Adventsschal 2014 knit-a-long which took place in December 2014. 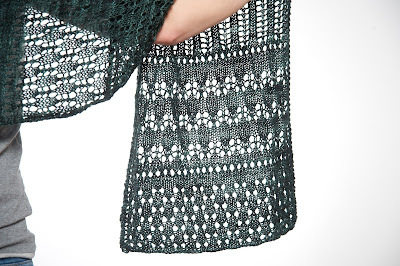 With a KAL such as this, a lot of projects tend to come in, and knitters often need some assistance - I thought that an independent platform such as a blog would be the perfect place for this! I also share lots of my patterns, tips and tricks on the blog. How do you balance your own design and blogging career with curating from your own Design Label? Truly, I'm always looking for the right balance...work & passion are so close, so it's hard to me jump into other leisure activities. Right now, I am very happy with how things are going between work & life. I'm happy to be part of some knitting events this year such as the Schwabsburger Wollfest, where I'll be teaching my first-ever workshop, and Yarncamp in Frankfurt this October. And I am always looking forward to all of the interesting people I'll meet along the way, not to mention at these events. I may even start another KAL! Do you have any knitting horror stories/mishaps? No! 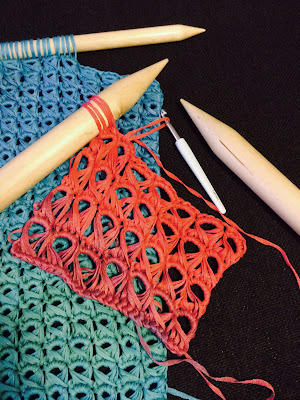 Util now, everything has been working out fabulously, but my personal nightmare is how quick some of my test knitters are able to knit in relation to how quickly I can complete a project. Sometimes I'm doubtful about my own speed of writing patterns and knitting samples......and the testers knitting at full speed and send it back to me so quickly! Sometimes I get a little jealous when I look at my own private projects! This month, one lucky blog reader will win a Nova Platina Cubics Deluxe Interchangeable Set! To enter, leave a comment telling us what kind of projects you like to knit or crochet in the summer months. 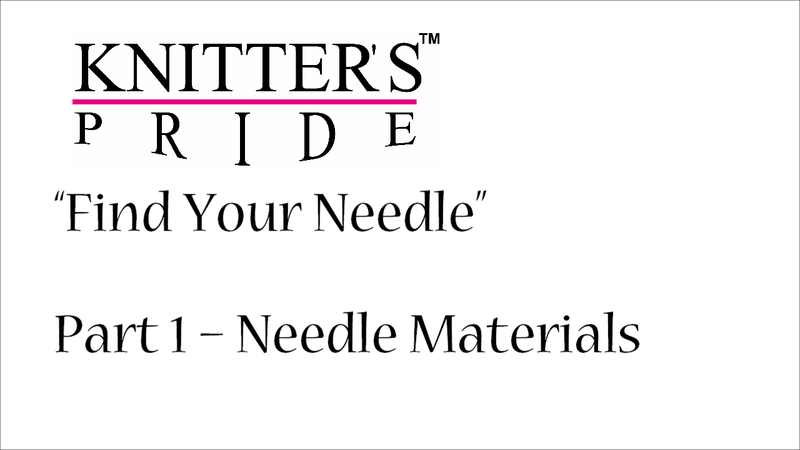 Be sure to also mention your Ravelry ID or email address so that we can contact you if you win. We'll announce the winner on our next blog post on Friday, May 27. Good luck!